Ever since leaving Black Sugar Records in 2011, this Scottish alternative hip-hop trio have moved further and further from their self-proclaimed "psychedelic hip-hop boy band" sound and into a far darker realm of the genre, carrying with them their trademark percussive sound and ever-faithful young hipster fan base. DEAD perfectly embodies this vehement movement as it isn't only a showcase of their most emotion-heavy work to date, it is also a conscious blend of the group's mixed heritage of Nigeria, Liberia and Scotland, with proof of the latter coming through eminently in the droning bagpipe and military drum ridden opening track 'No Way' which sets the tone for the rest of the album; a raspy procession of intoxicating rhythm and blues numbers, with strong overtones of abstract hip-hop and intelligently cultivated production. NME dubbed the band as being "locked somewhere between De La Soul and 3T, but re-imagined for the hipster generation." which is an undoubtedly fitting description as DEAD clearly wasn't created with the intention of appealing to mainstream audiences, it appears to be more of a statement of anti-genericism which is also a strong theme in De La Soul's critically acclaimed 1989 debut 3 Feet High And Rising. Despite the unconventional feel, however, all tracks bar one clock in at under 4 minutes long, making it a tightly wound project that is constantly shifting between the twisted and distorted beats that effortlessly merge together in a sonic frisson similar to that of the works of Seattle-based Shabazz Palaces. 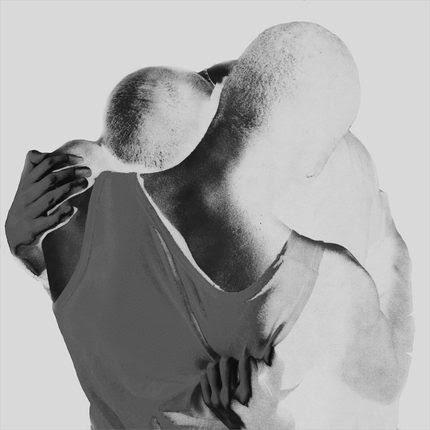 Young Fathers' collective lyrical dexterity is among the strongest assets on this project, with powerful hooks and profound verses being an immanent feature throughout the album. A track that epitomises this literary mastery is 'War' which begins with the lyric "big fish little pond/more like a whale in the motherfucking ocean" to portray strong feelings of desperation and solitude before continuing to tell the story of a mother that lost her child through the tragedy of warfare; Massaquoi and Bankole don't make it a comfortable listen by any standards. For me, DEAD is a paragon of the warped musical universe that Young Fathers have created through their immense communal understanding of the various genres that are explored in their work, and although it may not be their most mind-blowing album to date, it is distinguishable as a project that challenges the audience as well as pushing the boundaries of their own musical capabilities. With this in mind, the future holds much potential for Young Fathers, and it'll be more than interesting to see which route they continue down in forthcoming releases.